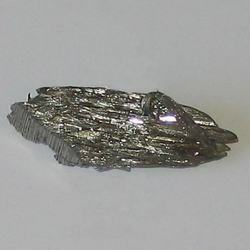 Pioneers in the industry, we offer selenium metal from India. We provide a wide collection of Selenium Metal that is sourced from reliable manufacturers in the market. These metals are used in applications including glass production, rubber industry, laboratory etc. Moreover, these metals play an active role in photography for the purpose of toning of photographic prints, and detection in biological fluids. Offered in various sizes and specifications, these metals are highly durable and are offered to clients at most nominal prices.